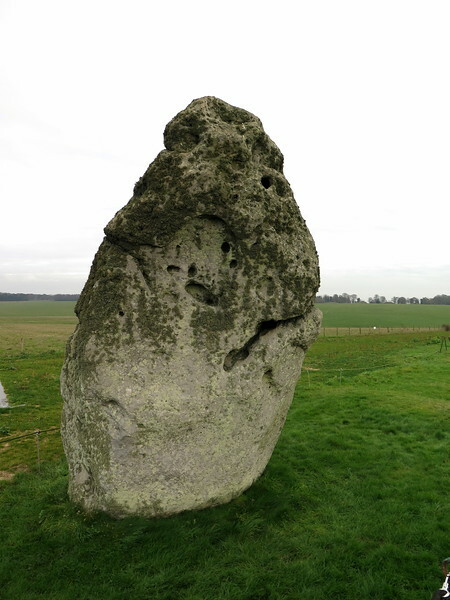 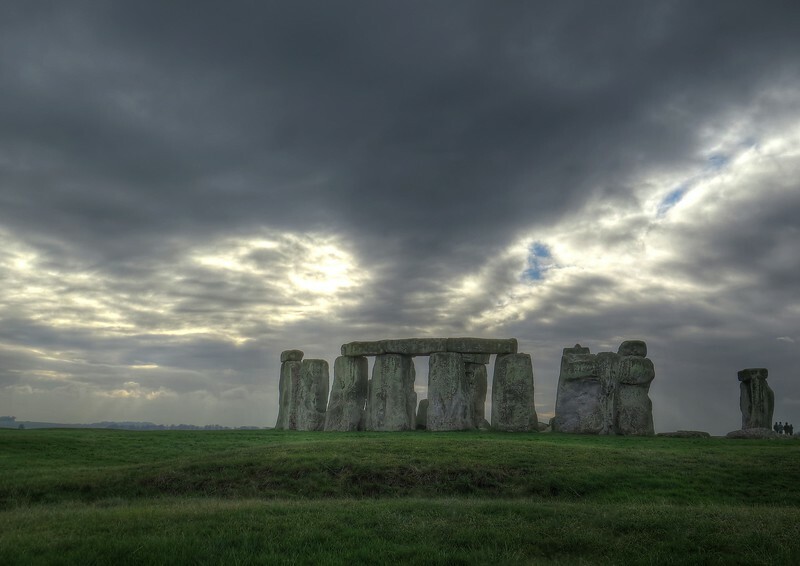 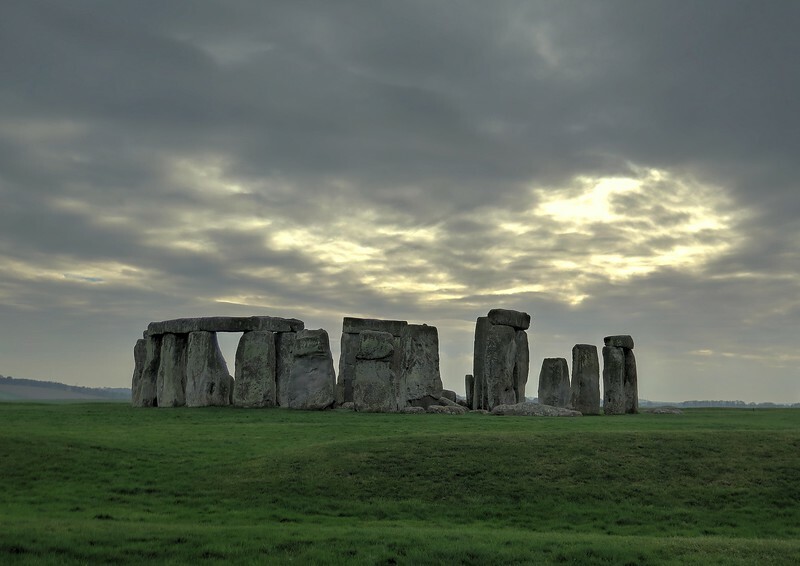 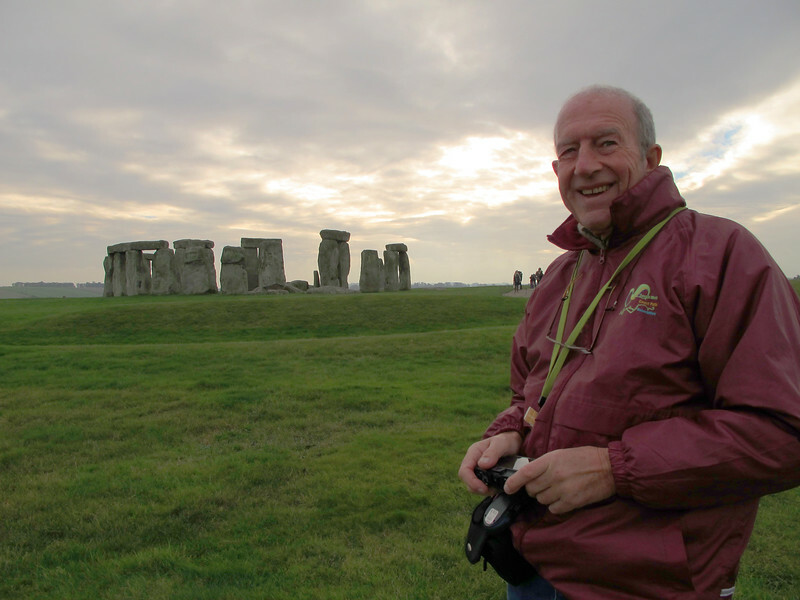 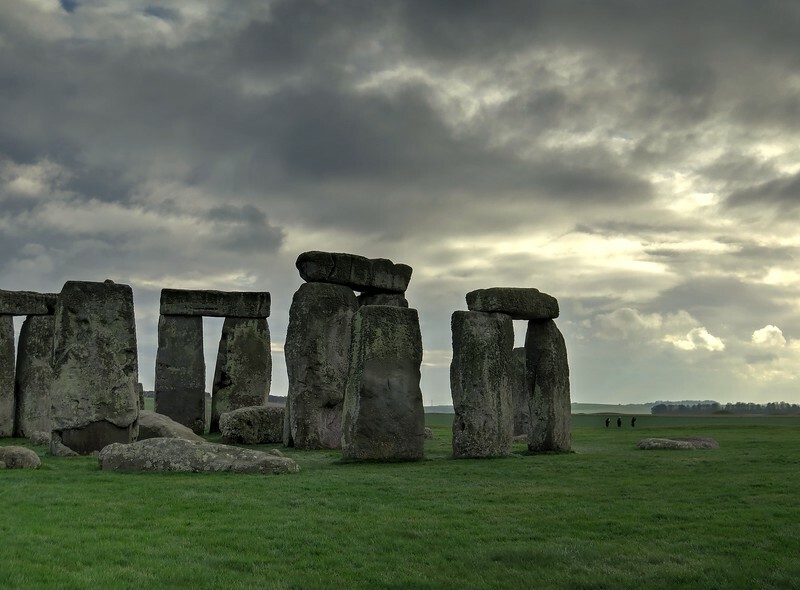 These are images from a visit to Stonehenge on a windy and cold day with glimpses of sun and a brisk easterly wind. 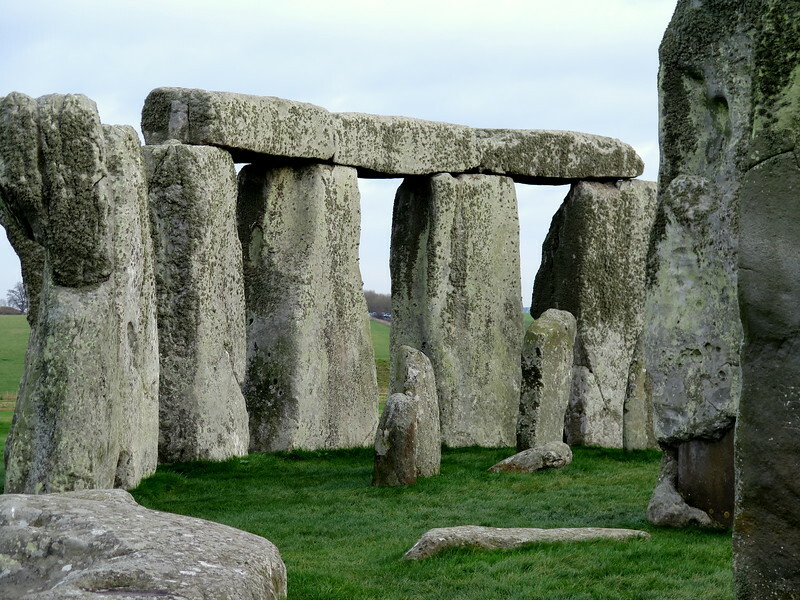 The recently opened visitors' centre. 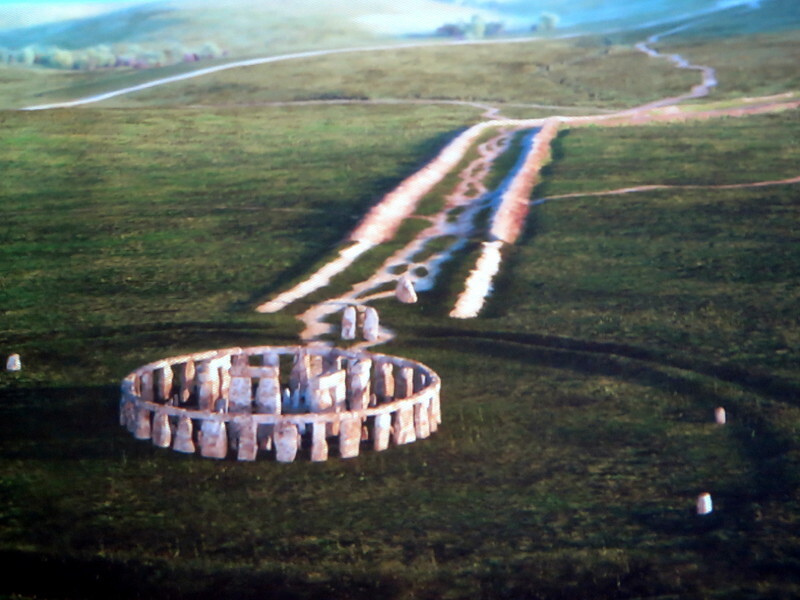 In the Visitors' Centre they have a slide show - this shows the view out of the stone circle towards the Heel Stone which indicates the point where the sun rises at the spring solstice. 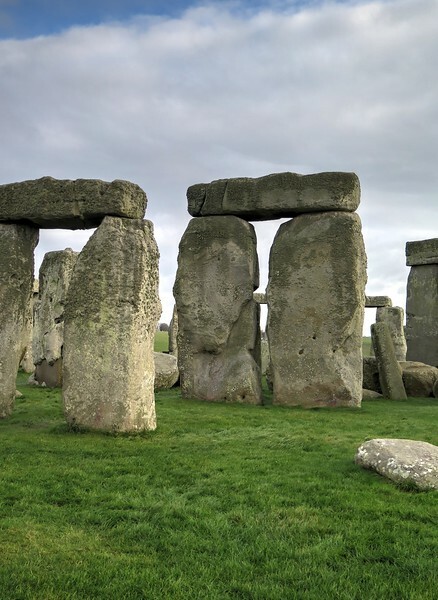 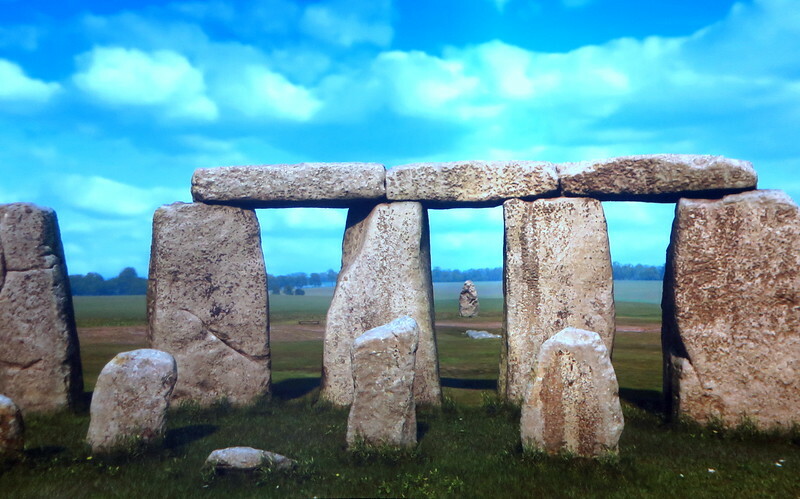 What Stonehenge would have looked like when it was completed. 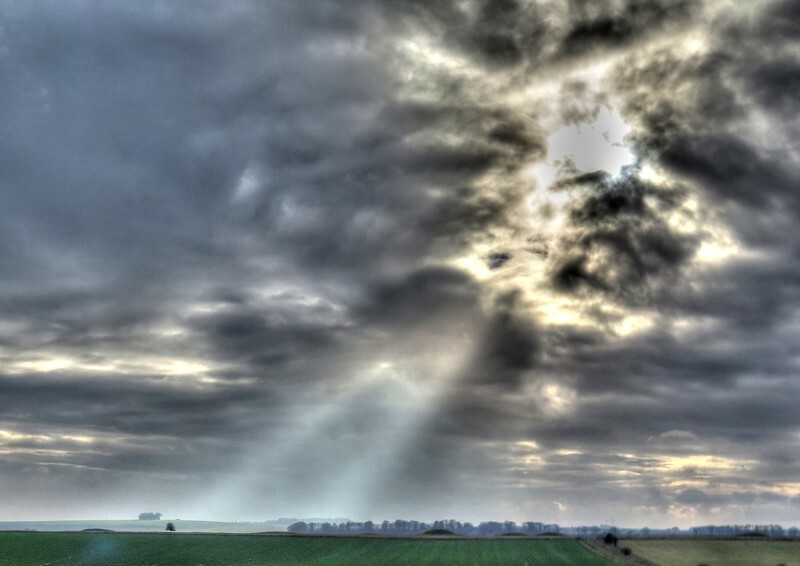 The parallel banks form a processional route up from the nearby river Avon. 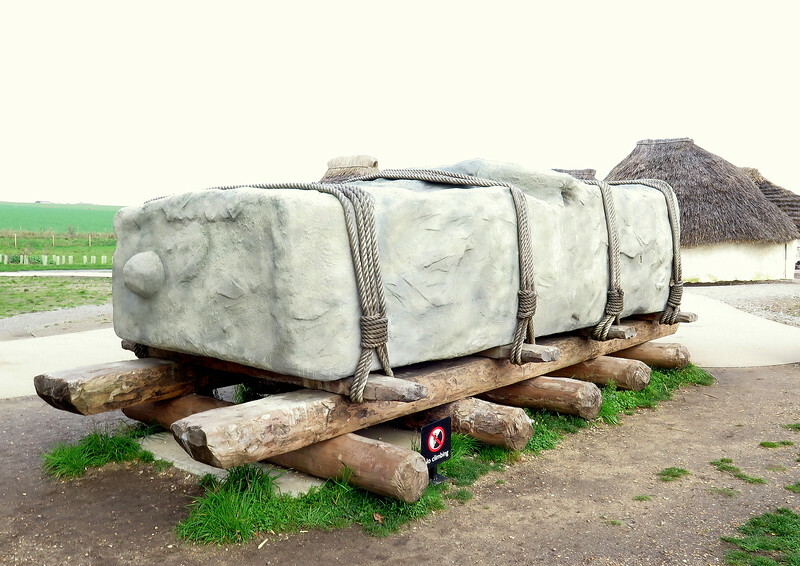 This is one suggestion for the method of transporting the stones. 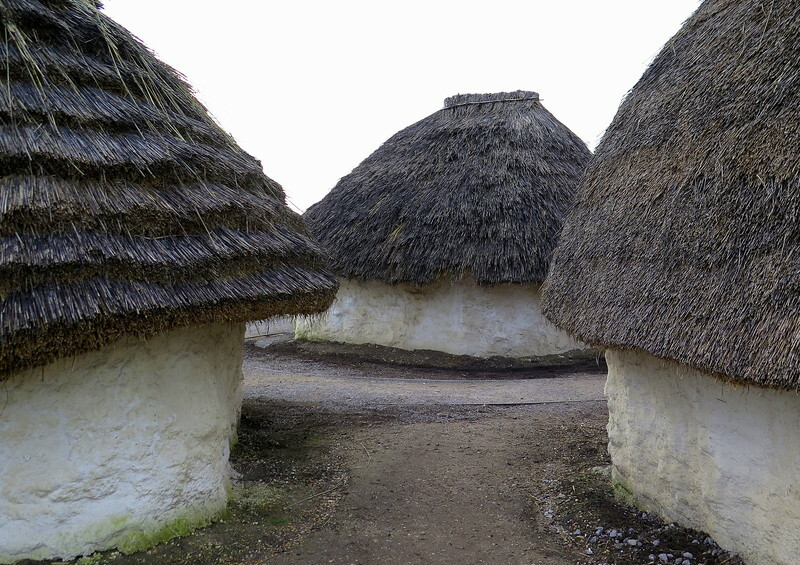 A village of huts which are supposed to be similar to what would have been used in the time when the monument was constructed. 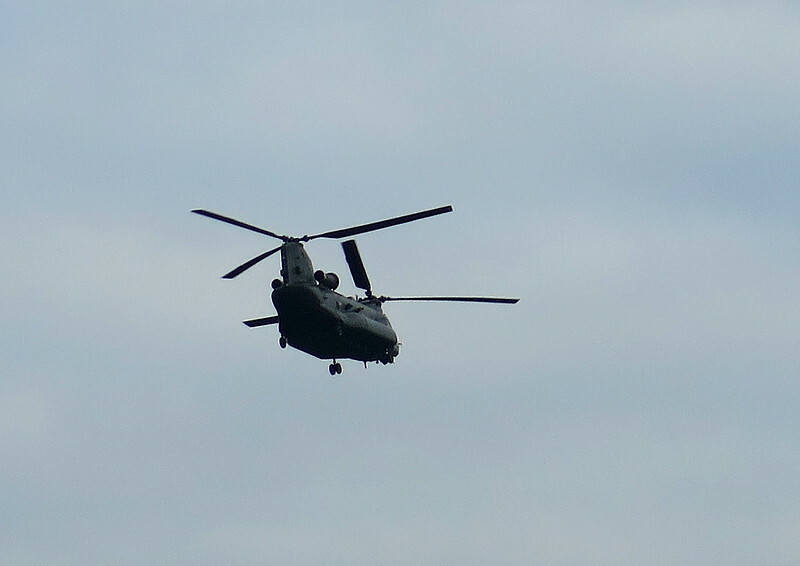 A Chinook helicopter from a nearby military establishment. 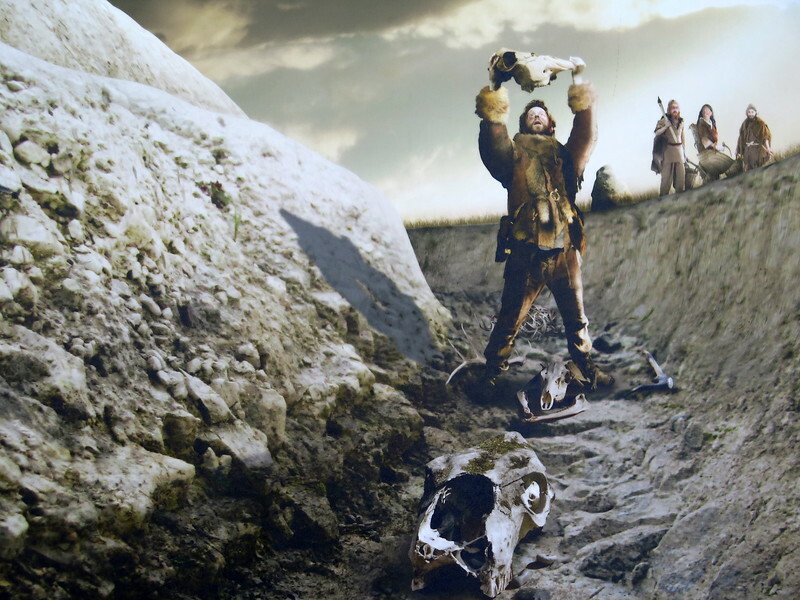 There were remains in the ditches which suggest ritual sacrifices of livestock. 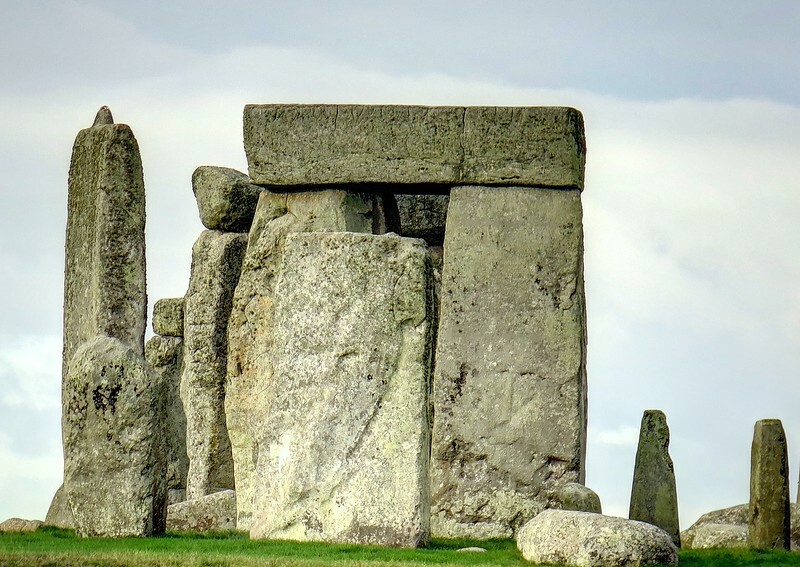 Note the use of tenon joints to provide extra stability to the construction. 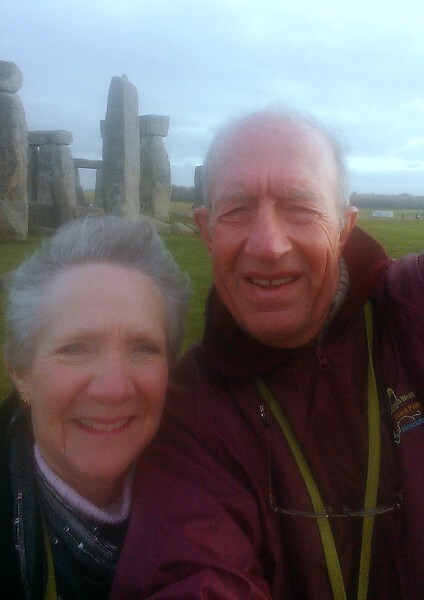 Two cold old people doing a rather self conscious 'selfy' at the stones. 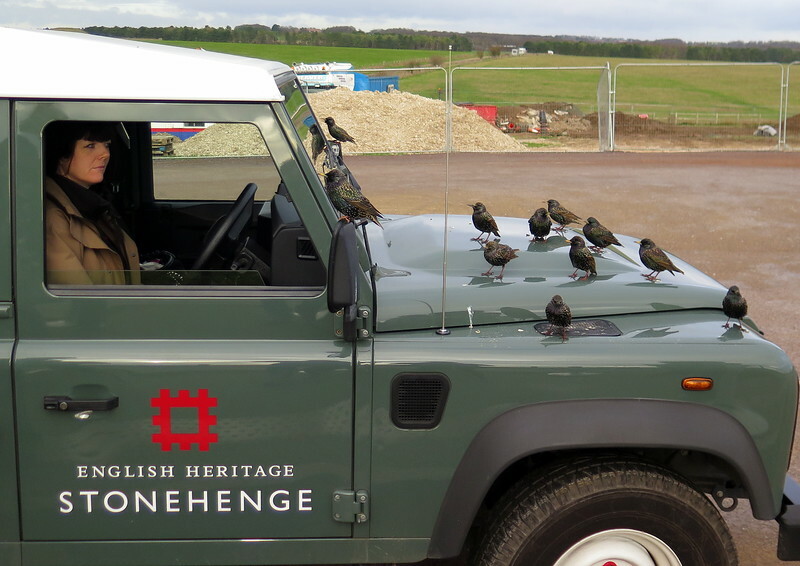 Apparently these young Starlings are regularly fed by the girl in the driver's seat - by the looks of things another feed is expected.